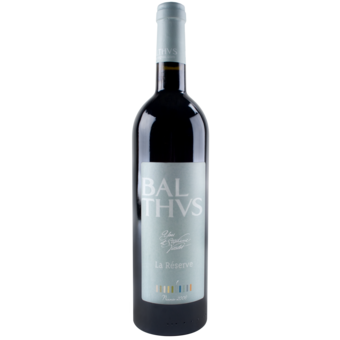 "Chateau Balthus is a stunning project from Yves Vatelot (owner of Chateau Reignac) is now in it's 5th vintage, and has gotten better every vintage. The inaugural release of the La Reserve bottling is off and running right out of the box. This elegant and complex Merlot-driven wine is made for the long haul. 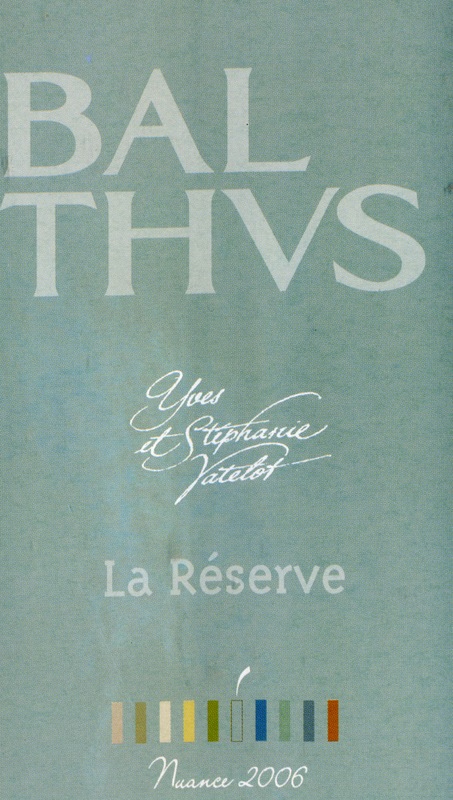 Showing excellent acid and tannin structure, with supple fruits and great depth of character, this fabulous red should last for 15 to 20 years, possibly more. 100% Merlot." 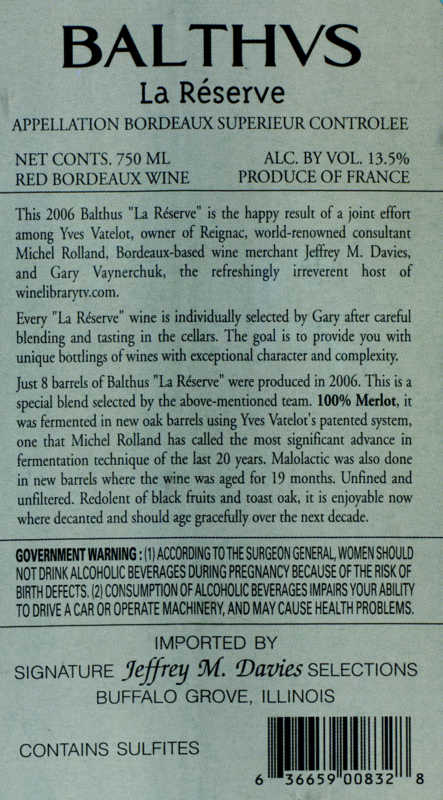 The La Reserve Cuvee for Balthus is 100% Merlot like the estate's traditional bottling, however this wine is from selected barrels chosen by Gary Vaynerchuk.